This is going to be a highly unusual post for me to be posting. It’s a household cleaning tip. 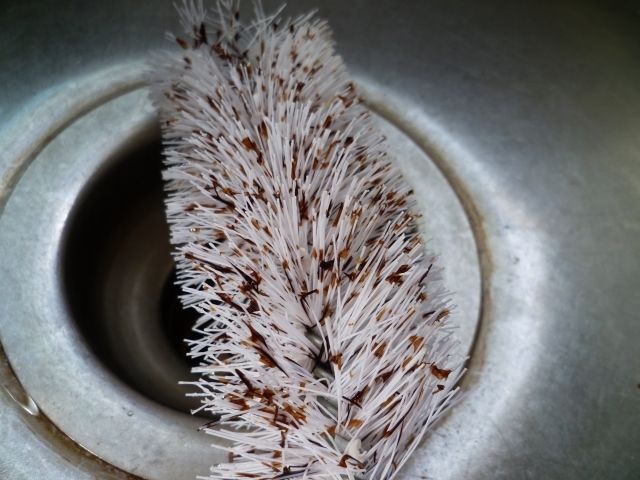 Now, if you know me at all, you know that housecleaning is not my favourite thing in the world to do. That said, I’ve discovered something that I just have to share. 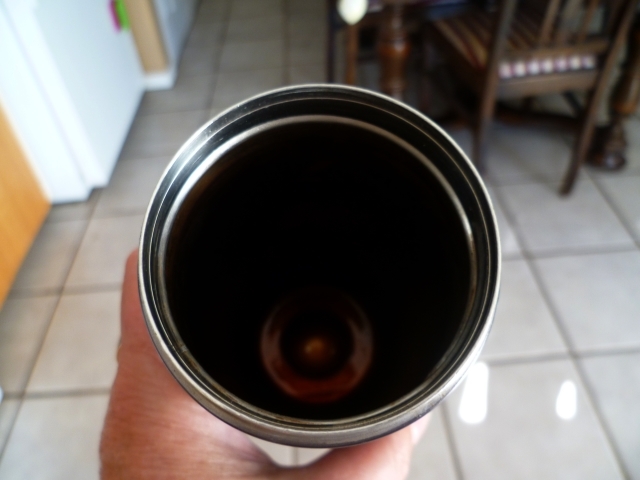 It has to do with stainless steel coffee/tea mugs. Around here, we have a few of them. John has his favourites and I have my two tea mugs (heaven help anyone who uses them for anything but tea!). John recently bought a replacement for mine because it was so stained with tea that it was impossible to clean. I’d tried scrubbing it with Vim and SOS pads to absolutely no avail. So it was replaced and has been serving only as a back up when I leave my current mug at work. This particular mug is quite narrow and there’s no way that I, even with my fairly small hands, could get in to clean it. Then I had a thought. I went shopping. 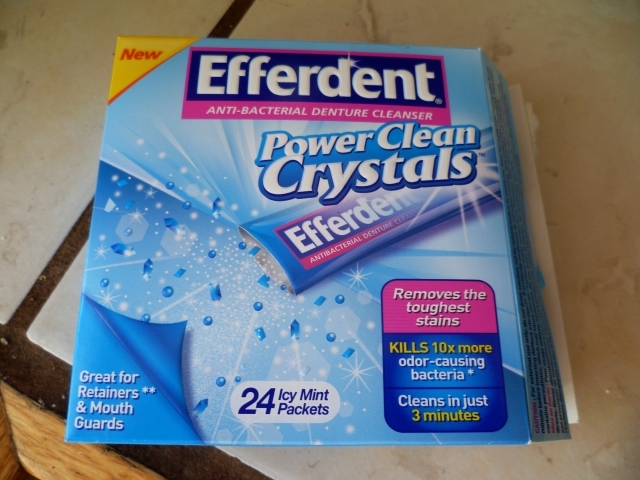 I will not lie; it felt a little strange buying Efferdent. I emptied two of the little pouches into John’s mug, added hot water, let it stand for a half hour or so, then took a brush to the mug. Oh my goodness!! Even my mug, with it’s caked on tea stains (we’re talking about having to scrape it off!) is absolutely spotless! My mug took a little more work and about six packets and an overnight soak, and then a bit of scrubbing with an SOS pad but it’s clean. I am terribly impressed. So, there’s my cleaning tip. 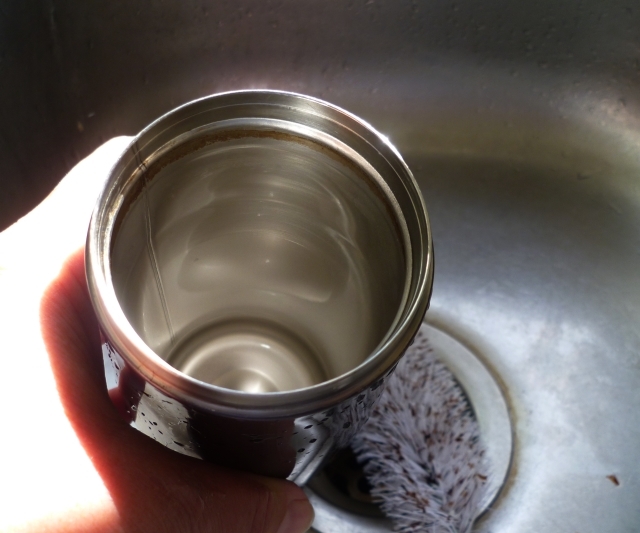 For hard to clean things, like stained stainless steel mugs? Efferdent!